Veolia Mobile Water Services has won a long term rental contract with Honda of the UK Manufacturing for mobile reverse osmosis technology. 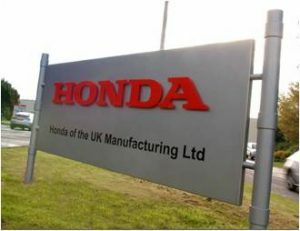 Honda in the UK has a fully integrated car manufacturing facility based in Swindon, Wiltshire. At the HUM site they produce the total car, from casting, engine assembly and pressing through to welding, painting and final assembly. rs. Each container houses a Reverse Osmosis skid that can produce 25 m3/h, at < 5% salt passage, between 0.1 and 0.5 ppm SiO2 . The containers were configured in series operation to provide optimum salt rejection.